The busy intersection at Reservoir Street and Carlton Street in the City of Harrisonburg, with the McDonalds on one corner and Spotswood Elementary School on the other, will soon have a single-lane roundabout. The traffic is a good mix of commuters, pedestrians, residents, and errand-runners to nearby businesses, the school, and the adjoining Kiwanis Recreation Park. 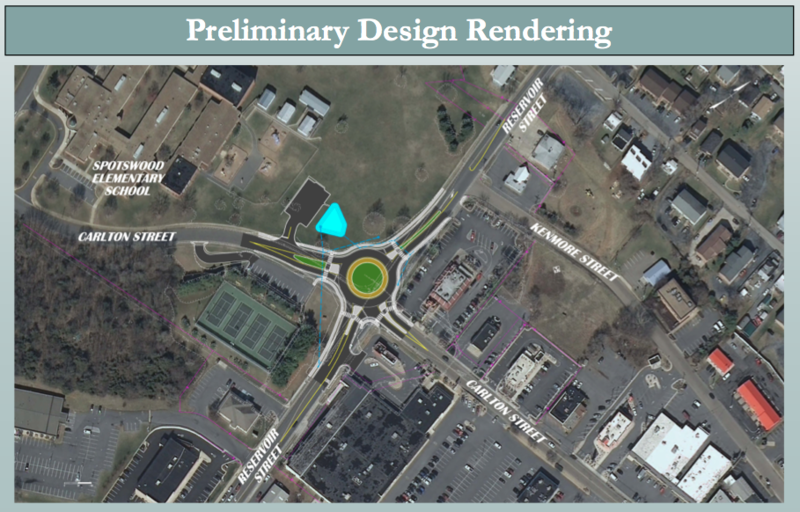 With a roundabout, the goal is to provide an improvement to traffic flow, capacity, and safety. There are no plans to take property away from any families, businesses, or organizations for this project. The surrounding land needed to construct the roundabout is primarily existing right of way or city owned property. The estimated cost for building this roundabout is $1,366,000, with a starting time of Summer 2014, and completion anticipated for Summer 2015.